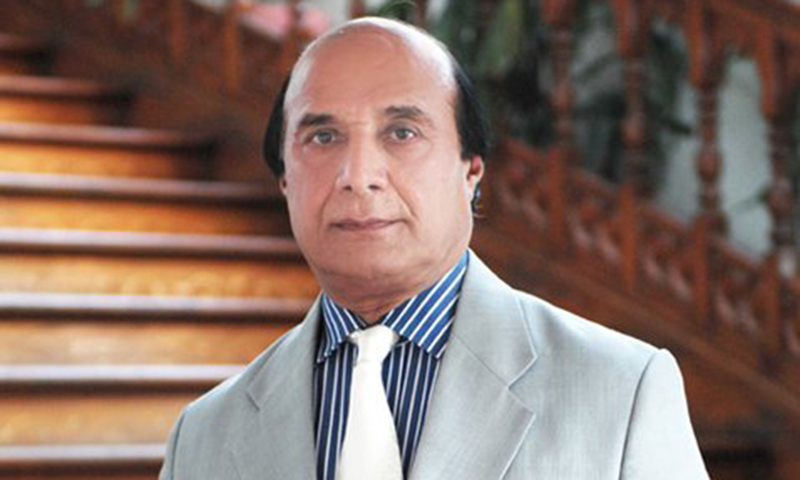 Former Punjab governor Sardar Latif Khosa on Thursday said if David Cameron can resign from his office, then Prime Minister Nawaz Sharif can also retire after nominating someone else to lead, keeping in view his health concerns. “Nawaz Sharif can pretend all he wants, but he can never uphold democratic values. His stance has always been monarchical because he’s following in the footsteps of Ziaul Haq and that has nothing to do with democracy,” the PPP leader said while talking to Pakistan Today Editor Arif Nizami in his talk show DNA on Channel 24. “They (Sharifs) have no foreign policy either and are not at all cognizant of the US-India-Afghanistan-Iran axis that is forming around Pakistan and is now busy trying to isolate Pakistan. The Muslim countries of the region have also been warmed up to Modi further neutralising any of Pakistan’s links with them,” Khosa went on to say. Answering a question, he said that Nawaz Sharif is the main architect of the entire evils that have happened regarding the Panama leaks. He carried out all the theft in the name of others, like Maryam Nawaz Sharif, his children, fake names etc. About supermodel Ayyan Ali, Khosa said that “whether it’s the provincial government or federal, they are not interested in bringing law and order in Karachi and curbing terrorism; they are not worried about the kidnapping of the son of the chief justice of the Sindh High Court; they are not interested in penalising the killers of Amjad Sabri either. But, they are very much interested in all the proceedings regarding Ayyan Ali’s case”. “The minions from everywhere have all united to protect the pharaoh of our times, but we will continue our struggle because this is the need of the hour,” concluded Khosa.